Our communities offer supportive living environments as well as specialized care for those with memory loss. We also have an adult day program for those in need of care during the day or evening. Our mission is to provide the highest quality community-based programs in safe and positive environments. We provide care to individuals with a variety of socialization and cognitive needs. We understand the importance of providing extended day care hours and offer Adult Day Care Services that are offered seven days a week from 8:00 AM to 4:00 PM with extended evening hours at Mulberry Gardens. *Do you need care for your loved one for a few hours while you attend a doctor's appointment? Maybe you have a wedding to attend and need care for a day or weekend? Ask us about our respite program! Our goal is to provide residents with the very best quality of life and provide the highest quality community-based programs in safe and positive environments. 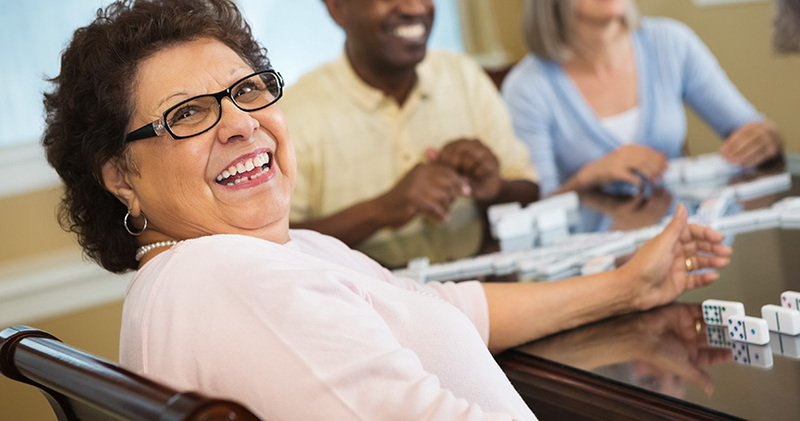 We provide care to individuals with a variety of socialization and cognitive needs.